The terms and conditions detailed below apply to all bookings at www.lakedistricthotels.net, www.innonthesquare.co.uk or via the individual hotel websites or individual hotel by telephone. 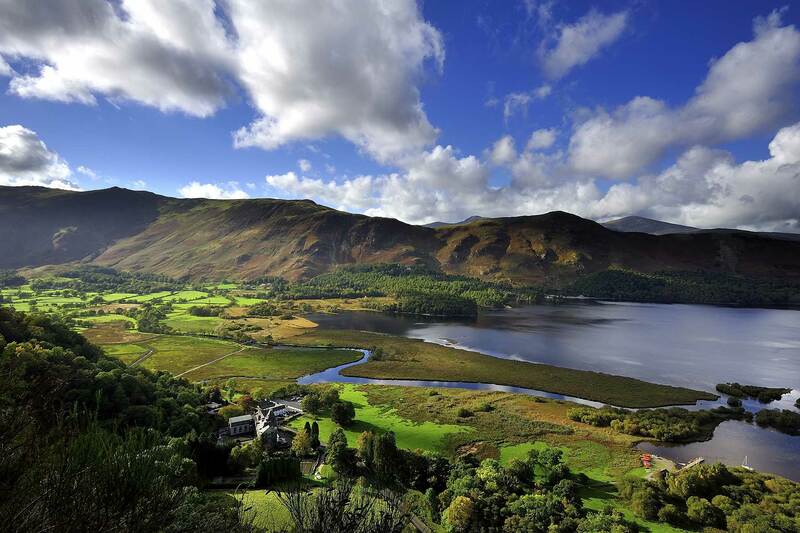 When you make a booking, your contract (which shall included these terms and conditions) will be with Lake District Hotels Ltd, Armathwaite Hall, Bassenthwaite, Keswick, Cumbria, CA12 4RE. Reg in England no: 1697263. (Referred to in these terms and conditions as Lake District Hotels). Full prepayment for your stay is required at time of booking and will be non-refundable and nontransferable for certain special breaks at The Lodore Falls Hotel and The Inn on the Lake, The Skiddaw Hotel, The Borrowdale Hotel, Inn on the Square and The Kings Arms Hotel. A non refundable deposit of £40.00 per person is required at The Lodore Falls Hotel and The Inn on the Lake, The Skiddaw Hotel, The Borrowdale Hotel, Inn on the Square and The Kings Arms Hotel at the time of booking. Prior to the departure of the hotel you will be required to settle your account in full. The non refundable deposit will be retained by the hotels at all times. If you cancel your booking within 7 days of the arrival date 50% of your full stay is payable to the hotel. If you cancel within 48 hours of your arrival date 100% of your full stay is payable to the hotel. Cancellation charges will be charged to your credit/debit card. In the unlikely event that we have to change or cancel your reservation, we reserve the right to do so. However, you have the right to: accept the changed arrangements as notified; or make alternative arrangements with Lake District Hotels; or cancel your reservation and receive a full refund of any monies which you have paid to Lake District Hotels in respect of your reservation (please note that we shall not be liable for any sums which you have paid to any other persons in connection with your reservation). All prices are per room in £’s (unless otherwise stated). All prices include VAT at the current prevailing rate. Prices are subject to change without notice; we reserve the right to alter your rate should a mistake be identified. Although every effort has been made to ensure the accuracy of the information contained online, we cannot accept responsibility for any errors or omissions, and reserve the right to vary, amend, supplement or cancel any of the information or offers featured online at any time. What the price includes: website prices include double/twin bedroom, single room for single guests, colour TV, direct dial telephone and en suite bathroom. Meals as outlined in the rate details. Prices shown on-line are not valid in conjunction with any other offer and until you receive your confirmation number are subject to change without prior notice. Best Rate Guarantee. We always offer the best rates if you book direct. You will not find a cheaper B&B rate anywhere else. We sometimes offer special dinner, bed and breakfast deals with a third party, but there will always be a B&B or other offer available which matches or is cheaper than that rate. To check in early or check out late an additional charge of £10 will be required. Subject to availability. From time to time Lake District Hotels Ltd will offer special accommodation rates. The offers are subject to availability, cannot be used in conjunction with any other offer and are limited to stays within a specific date range. All accommodation offers are only available on new bookings and on a very limited amount of bedrooms. Lake District Hotels gift vouchers should be presented to reception on arrival at the hotel. Maximum value of £1000 of gift vouchers can be used per booking. Gift vouchers cannot be used to pay for weddings or corporate functions. All vouchers are valid for 1 year from date of purchase and need to be redeemed in a single transaction. Vouchers cannot be exchanged for cash and are non-transferable. No refund of money will be made once voucher has been purchased. No photocopies will be accepted. You may choose to collect your vouchers from a hotel, postal delivery or email. We use Royal Mail to deliver your voucher. Please note that postage costs are not included in the voucher prices. Any postage costs are advised during the purchase process. The following supplements will apply: Email (FREE), First Class Post £1. If you need to send internationally there will be an additional cost and you must order via telephone. Please allow 48 hours for us to process all gift voucher orders. If you haven't received your voucher within 5 working days call us on 0800 840 1240. Availability of rooms at the rates shown online may be limited and/or restricted to certain periods. During major sporting events, social events, conferences and exhibitions, the same rates may not be available. Some of the hotels have a limited number single rooms available. Certain hotels will accept single occupancy in double/twin rooms at a surcharge please contact the hotel directly. Children ages 2-15 sharing a room with 2 full paying adults will be charged a maximum of £25.00 per child per night. This rate includes breakfast. All children’s evening meals are charged as taken from either the children’s menu or the restaurant menu. Family suites are available in certain hotels, please contact the hotel directly. All of our hotels are able to accommodate dogs, at the manager’s discretion, at an extra charge. Please call the hotel direct for details. Car parking is free in most of the hotels but has a small daily cost at the Skiddaw Hotel, Inn on the Square and Kings Arms Hotel. For further information on parking availability and charges, please call the hotel direct. Hotel rooms are normally available from 3:00pm on the day of arrival. Rooms must be vacated by 11:00am on the day of departure, unless otherwise sanctioned at the discretion of the hotel manager. For certain of our hotels, these times may differ. Please ask for details of the arrival and departure times when making your booking. Those rates which include breakfast offer a full traditional or continental breakfast with tea or coffee. Those rates which include dinner offer a choice from the hotel’s table d’hôte menu. Where a hotel does not offer a table d’hôte menu, an allowance (which varies from hotel to hotel) is allocated towards dining from the à la carte menu. There is no refund for meals which are not taken by guests. Any damage incurred by you or your party during your stay in the hotel, will be charged to your credit card. Book on-line at www.lakedistricthotels.net. Due to the nature of some of our products, not all of them are available online. Please contact hotels direct for more details. Please advise the hotel of any special dietary needs or other requirements, including mobility issues, you may have prior to arrival. Whilst every effort is made to fulfill your requests, unfortunately, we cannot guarantee these and failure to do so will not constitute a breach of contract. Any complaint or comment regarding a stay at one of our hotels should be made in the first instance to the hotel’s duty manager at the time of your stay so that all reasonable efforts can be made to resolve the situation at the time. Problems which cannot be resolved there and then should be notified in writing to The Hotel Manager. Elements of your break may include service supplied by third parties (for example entrance to activities, mountain bike hire etc). Such third party suppliers will usually have their own set of Terms and Conditions relating to the services they provide. You should consult any third party Terms and Conditions soon after making a booking if your break includes such items. While we have tried to ensure that all information about the Hotels, facilities, attractions and events are accurate we cannot accept responsibility if this is not the case. Please do remember that facilities may alter from time to time and Lake District Hotels cannot be held responsible for any changes that occur or any errors or omissions in respect of the information. Liability is therefore excluded for any loss of expense incurred further to reliance upon such information. Your privacy and security is important to Lake District Hotels when visiting our Site. Lake District Hotels will not loan, rent or sell your personal details to any third parties without your prior consent and will comply with all data protection legislation in force from time to time with regard to the treatment of any data it collects using the website. Although every effort has been made to ensure the accuracy of the information contained online, we cannot accept responsibility for any errors or omissions, and reserve the right to vary, amend, supplement or cancel any of the information or offers featured online at any time. Lake District Hotels shall not be responsible for any loss or damage which you may suffer arising out of events beyond its control or the control of its suppliers (including, without limitation, fire, failure of electrical, gas or other power supplies, strikes, industrial action, terrorist activity, war, technical problems with transport, illness of entertainers and bad weather), nor for any curtailment, cancellation or change to any accommodation, activity or itinerary or any other consequences which arise as a result of such events.